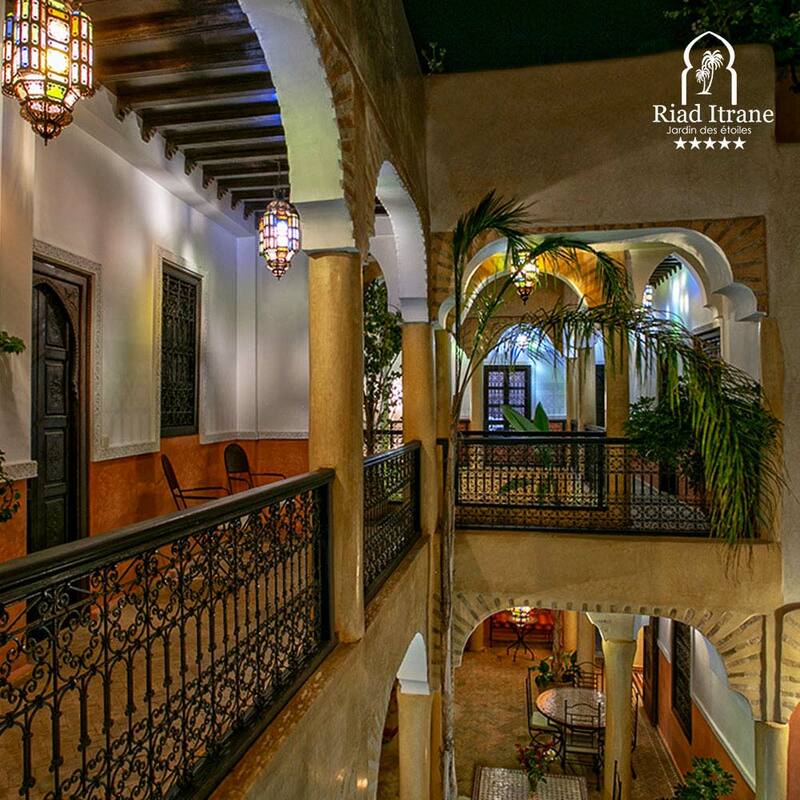 Riad Itrane or "the Garden of Stars", is a splendid guest house nestled in the heart of the picturesque medina of Marrakech, its historical monuments and the entrance of the souks. A two minute walk from the famous Jamâa El Fna square, you will discover the charm of an authentic typical Moroccan Riad whose style and decoration in nuances make it an absolutely unique place. 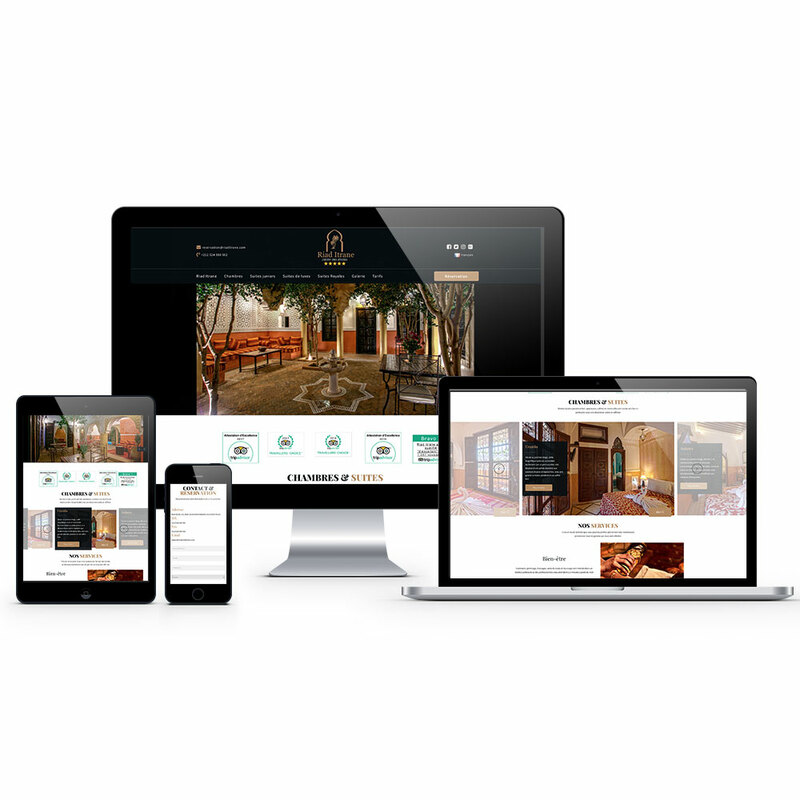 Riad Itrane, among the most beautiful riads of the "Red City", offers 12 rooms and suites of different categories. Its capacity can accommodate up to 30 people in total comfort.